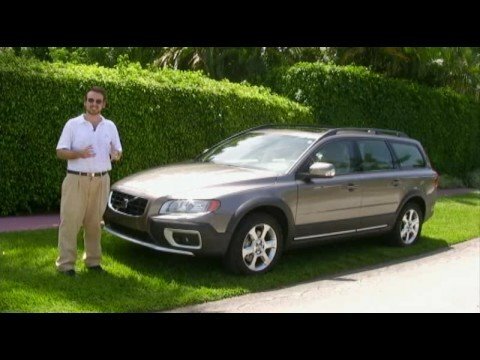 If your next vehicle needs such off-road attributes as all-wheel drive and Hill Descent Control, but a bulky SUV doesn't fit your image (or garage), the 2009 Volvo XC70 will definitely strike a positive note. It is a comfortable ride so take it for a joy ride. I love that I feel safe in my car. It's spacious for my family, but not hard to drive in the city. I don't have any complaints! I like how safe it is. I like how it is good in the snow and bad weather. There is not really anything I do not like about it. Outdated, but focused. Clean and crisp, does its job. Beautiful, comfortable, a little outdated now in 2018. Few bells and whistles, but that means fewer distractions. VOLVO IS RECALLING 17,614 MY 2008-2009 S80, V70, AND XC70 VEHICLES. THE ENGINE COOLING FAN MAY STOP WORKING DUE TO A SOFTWARE PROGRAMMING ERROR IN THE FAN CONTROL MODULE (FCM). DEPENDING ON DRIVING CONDITIONS, THE CUSTOMER MAY EXPERIENCE REDUCED AIR CONDITIONING PERFORMANCE, AND/OR RAPID INCREASE IN ENGINE COOLANT TEMPERATURE. THIS SITUATION MAY RESULT IN LOSS OF COOLING SYSTEM FUNCTION AND ENGINE FAILURE. THE DRIVER MAY NOT HAVE SUFFICIENT TIME TO REACT TO THE WARNING LIGHT(S) OR THE TEXT MESSAGE IN THE INSTRUMENT PANEL, INCREASING THE RISK OF A CRASH. DEALERS WILL REPLACE THE FAN CONTROL MODULE FREE OF CHARGE. THE RECALL IS EXPECTED TO BEGIN DURING JULY 2009. OWNERS MAY CONTACT VOLVO CUSTOMER CARE CENTER AT 1-800-458-1552.